Importing From China To The U.S. When importing from China into the U.S. there are a number of considerations you need to review to ensure your trade endeavors are successful. Aside from your everyday document requirements, what additional factors will you want to be prepared for? What Impacts My Landed Costs? Landed cost is a hot topic among any inspiring importer. In 2018, the U.S. took action under Section 301 of the Trade Act of 1974, imposing hefty duties on a majority of items originating in China. What does this mean for you? Before your goods are on their way to the port of entry, you will want to engage with a licensed trade professional to review the validity of your classification and to carefully cross reference your classification against the Section 301 lists. This will tell you if you just had a 10-25% increase in costs at the port of entry, on top of any standard import duties and taxes that applies to your goods. Changes happen fast, so be sure your compliance team is tracking the Section 301 developments closely. The next impact on landed costs is the likelihood of increase in examination. One of the main trade objectives of U.S. Customs & Border Protection (CBP) is to thoroughly inspect for copyright, trademark, and intellectual property violations. A large number of counterfeit goods are sourced in China and post real risk to U.S. consumers. What does this mean for you? Be ready for a heightened chance of inspection and make every effort to ensure the products you are importing meet all U.S. regulatory requirements. Finally, know who you are working with. In any endeavor, things can easily go astray if you do not have trusted relationships with your trading partners. This includes selecting a trusted supplier that can manufacture quality goods. It is also the trusted team you put in place to ensure a compliant, timely and successful outcome. Who is this? This is your customs broker, forwarder, carrier, and any other party who will provide you valuable logistics services. Select a broker that is going to ask you a lot of questions and look out for your best interests. There is infinite value added when you select a professional and knowledgeable service provider. Importers new to sourcing from China would be well advised to understand the impact of Chinese New Year and what the impact will be on their supply chain. The Bill of Lading, weight restrictions, and negotiating the right Incoterms can all have an affect on your import. Chinese New Year (CNY) is a national holiday celebrated in late January, early February, depending on the cycle of the Chinese calendar. While the official holiday is 7 days, traditionally CNY is celebrated for 15 days. As a result, factories can take up to 30 days to return to full production. Similar to Thanksgiving in the U.S., people return home to celebrate with their families during CNY. Since most of the blue collar jobs in trucking, port labour and warehousing are filled with workers living outside of the cities, over 40 million workers return home to celebrate. This places stress on the Chinese transportation industry, and creates a backlog of work for the returning workers. The pre-CNY rush is well known in the freight industry. Container ships and airplanes are generally full as factories push to place orders before closing. New importers unaccustomed to the importance of this holiday, may find it frustrating to conduct normal business, or meet contractual commitments. A good professional freight forwarder will help in planning through the CNY holiday, anticipating closures and ocean and air freight space restrictions. Importers are well advised to plan supply needs well in advance of CNY by keeping a buffer inventory, or doubling orders during the Christmas season. Importers located or who have distribution centers at inland point cities should negotiate a through bill of lading whenever possible. A through bill of lading allows the freight to move intact from the port to the inland point or city (usually a rail terminal). The benefit of a through bill of lading is reduced costs gained by less handling, or transloading of the cargo from an ocean container to a truck trailer. When shipping a full container load, watch carefully for North American weight restrictions to transport the container over the road. Most of North America restricts cargo weight in a container to 44,000 lbs. These limits are affected by spring thaw rules in colder climates, which reduces the maximum cargo weight under 44,000 lbs. A good professional forwarder will advise the importer on spring thaw rules as they affect the cargo moving to its final destination. Note, most suppliers in China will fill ocean containers to full capacity without attention to local road weight limits. 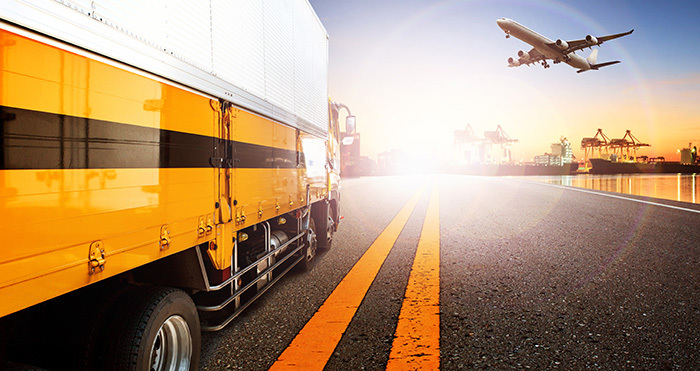 Advanced planning and coordination with a good professional freight forwarder is essential in keeping cost to a minimum by complying to Transport Regulations. Finally, and most important, the importer must understand the impact of Incoterms on the contract with the supplier. Incoterms (International Commercial Terms) are standard contract terms used between importers and exporters when negotiating contracts. There are a range of possible negotiated terms depending on the needs of the importer. The best advice is for the importer to consult with a freight forwarder or trade specialist prior to negotiating the contract to determine the most beneficial type of Incoterms for their organization. Breanna has been in the industry since 2004 and has dealt with clearances and compliance concerns for a multitude of commodities for all ports of entry and all modes of transportation. She has a Bachelors in Communications, Bachelors in Political Science & Government as well as the professional designations of Licensed Customs Broker and Certified Customs Specialist. Breanna has been asked to be the speaker as a variety of events including the BC Agriculture Show, Doing Business in the US seminar and has been a contributor to Smal Business BC publications She was recently nominated for the NCBFAA Government Affairs Conference Emerging Leaders and Mentors by the NBCBA. She participates in the Northern Border Customs Brokers Association and the NCBFAA annual conferences in Washington, DC. Breanna has a deep passion for politics, global affairs, and how communication shapes policy and international business relationships. She feels very fortunate to work in an industry that allows her to take part in how policy impacts the global economy and domestic businesses of all shapes and sizes. Why Do I Need An IRS Number When Importing Into The U.S.?